The lovely Isabella Louise Anderson has been having a good month! 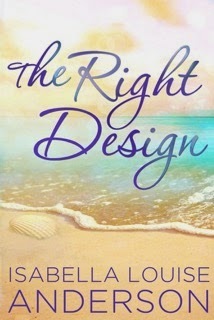 She has been busy celebrating the 1st birthday of her debut novel, The Right Design. I'm a total sucker for a story about the bond between sisters, probably because my sister, Megan, is such an amazing person. There is honestly no one in the world like her. She is impossible to replicate, impossible to argue with (since she’s always right) and impossible to hate. Sure, I tried to hate her growing up (Who wouldn’t want to hate someone who gave you the nickname, “Turkey Face”?!? ), but I never succeeded. Our roles were fairly well defined – as my older sister, she had to take me with her wherever she went and as her younger sister, I had to follow her orders. In other words, I was a thorn in her side and she was a pain in my, well, you know. No matter how much I annoyed her, she always took care of me. Always. She defended me when I was bullied, picked me up when I fell down, helped me make sense of the endless list of things which baffled me and, rather importantly, advised me on hair, makeup and fashion choices. (These are crucial decisions for a teenage girl – especially one sporting braces on her teeth as well as her back.) Through all our years together, my sister managed to instill me with a sense of confidence I was never able to find on my own. When I had the notion of writing a novel, my sister was the first to hear my confession. It may sound bizarre, but that’s what it felt like – a confession. 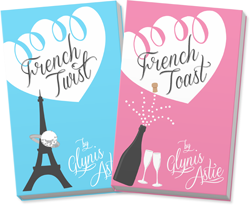 I had never imagined myself as an author, so the idea of writing an entire book seemed ludicrous to me. But not to her. My sister instantly championed the idea and outlined why I would make a great author. I was shocked! How could she believe wholeheartedly that I could do something when I felt so unsure? Her enthusiasm gave me the push I needed to create an outline for my book. Once I found the courage to start writing, she patiently talked through story ideas, gave insightful notes on my chapters and cheered me through the end of my draft. As if that weren’t enough, she designed a gorgeous cover for my debut novel. Since people absolutely judge a book by its cover, at least initially, she set me up for a great start as usual. There is no doubt in my mind that I wouldn’t have become a writer without my sister. She will deny this until the end of time, but I know it to be the truth. And I take a small amount of satisfaction in knowing she can occasionally be wrong. Because of my sister’s love, guidance and eternal patience, I’m finally able to see the possibilities in front of me, instead of the obstacles in my path. It seems truly impossible to feel whole without her. And what's a celebration without gifts? 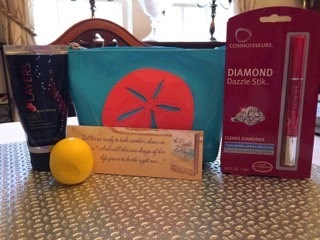 Check out this awesome prize package Ms. Anderson has put together! 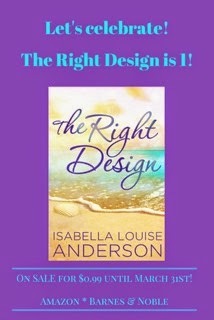 The Right Design is on sale for $0.99 for the entire month of March! 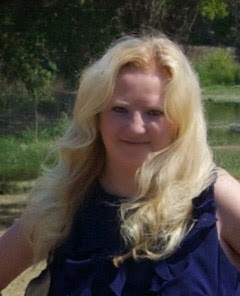 Not only is Ms. Anderson a talented writer, she also has her own book blog, Chick Lit Goddesses!